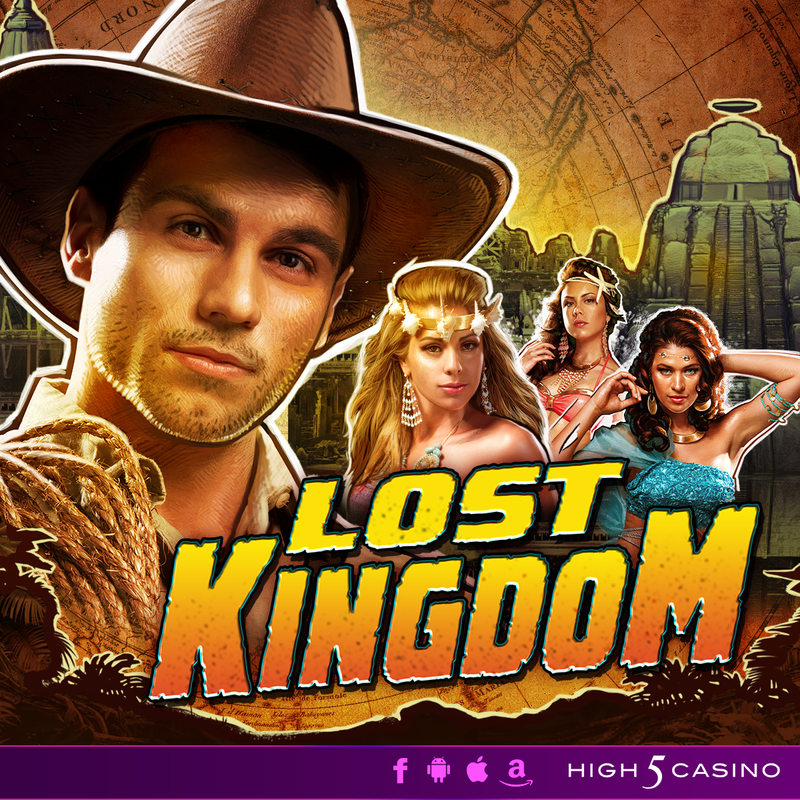 Join the quest to discovering mystical treasures on a legendary island in High 5 Casino’s 255th game! The Lost Kingdom is coming soon! Dive into the legend of mystical treasures that exist in the Lost Kingdom somewhere on the island of doom. Pair up with the most fearless explorer around as you set forth on this brave quest to find the forgotten city in the depths of the impenetrable jungle. Adventure through a legendary island and soon you will discover its hidden wonders scattered about. Are you ready to prevail into the rewarding oasis with tantalizing Amazonian women and premium fortunes? Comment in the conversation bubble located on the top right corner of your screen and let us know what you think! This entry was posted in game preview, Game Release, High 5 Casino, High 5 Games, High 5 Moments, New game and tagged Android, App Store, Apple, Facebook, Free Games, game preview, Game Spotlight, Google Play Store, H5C, High 5 Casino, High 5 Casino Mobile, High 5 Games, iOS, iPad, iPads, iPhone, iPhones, mobile gaming, Slot Fundamentals, slots, social gaming by hoothigh5. Bookmark the permalink.